Q! was my winning scholarship entry into the Masters of Interior Design for Commercial Spaces program at IED Barcelona. The challenge was to create a space that clearly communicated what my city means to me. 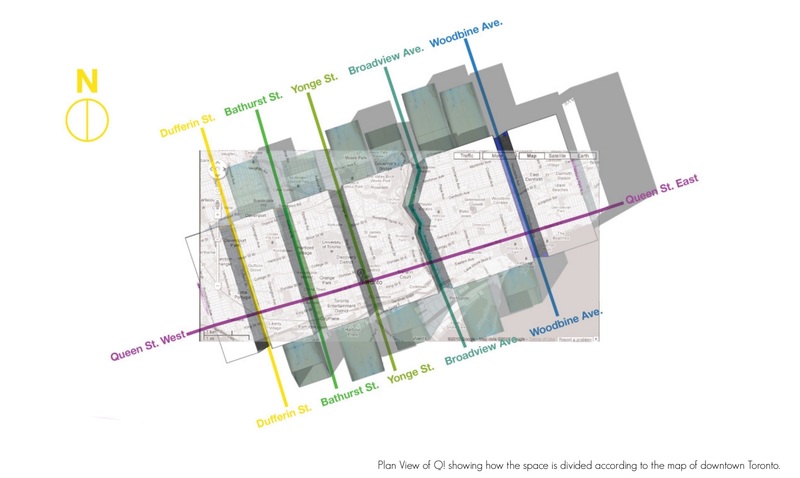 Queen Street in Toronto is a major artery that runs the entire length of the city that houses a unique flavor. Here you will find a number of independent businesses, cafes, art galleries all of which are diverse yet unified because they posses that special ‘Queen Street Vibe’. 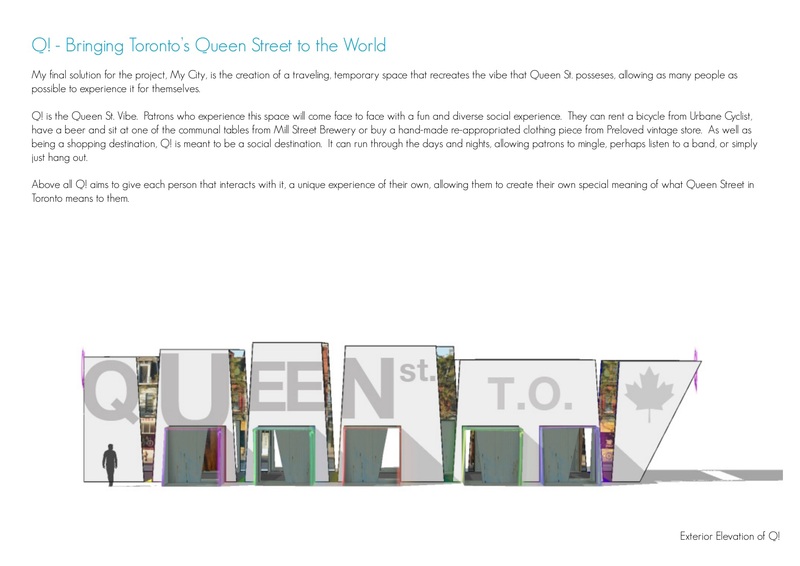 After deciding that Queen Street was what made Toronto unique to me, I set about wondering what kind of space I would create to communicate this and share it with others. 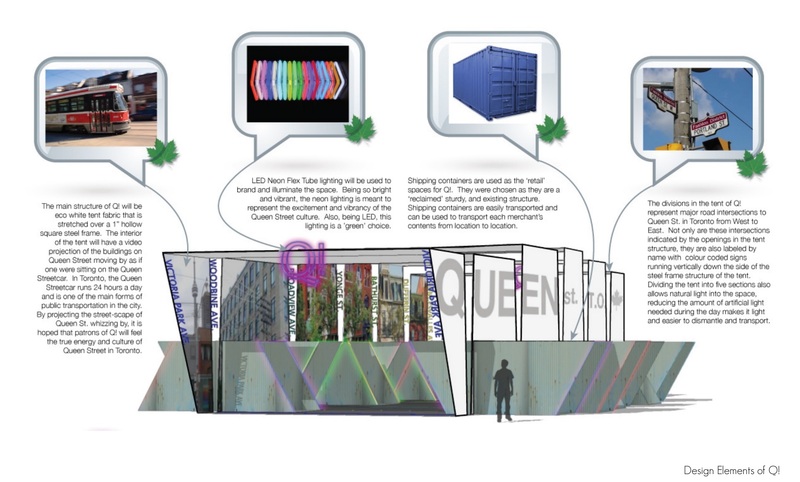 I decided that what better way to get the world to know about Queen Street, that to bring Queen Street to the world! REFLECT - See Yourself. Know Yourself. Become Yourself.